Many years ago I had dreams of having a cartoon section on this site. With room for the funny things a geekmum bumps into. “Clean your room or I’ll delete you from the router”. Although as time has passed, I now ask the kids to sort out the router – they know the password. I think it’s time to learn how to draw cartoons on my tablet. Even though it’s now sooo old, I love the SketchBook Pro app, and I think it will me my needs. With just a new stylus. 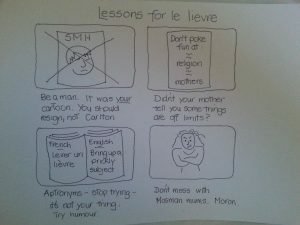 Today I was inspired by finding a cartoon from The Oatmeal in my Facebook feed http://theoatmeal.com/comics. To remind me where I came from, here is a cartoon I drew a few years ago. 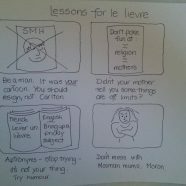 It was in response to a cartoon from Le Lievre https://www.lelievrecartoons.com/collections/sun-herald where he poked fun at Mosman mums and the (sarcastic) deprivations Mosman kids had to suffer. 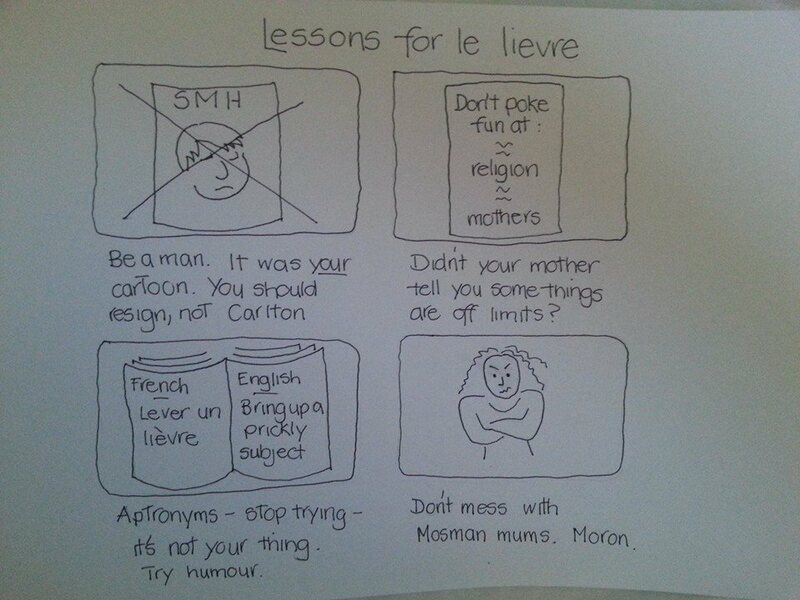 I was particularly annoyed at him because my beloved Mike Carlton had just had to resign from the SMH after his article copped some flack, inflated by another one of Le Lievre’s cartoons.